Cinema is an art form that presents the social reality through various aesthetic approaches and in an intercultural context. The children have the right to create art and by enjoying cinema, they gain access to this very right. During the process of coming of age and of understanding the meaning of citizenship in a democratic society, cinema gives them the means to participate and to co-create. 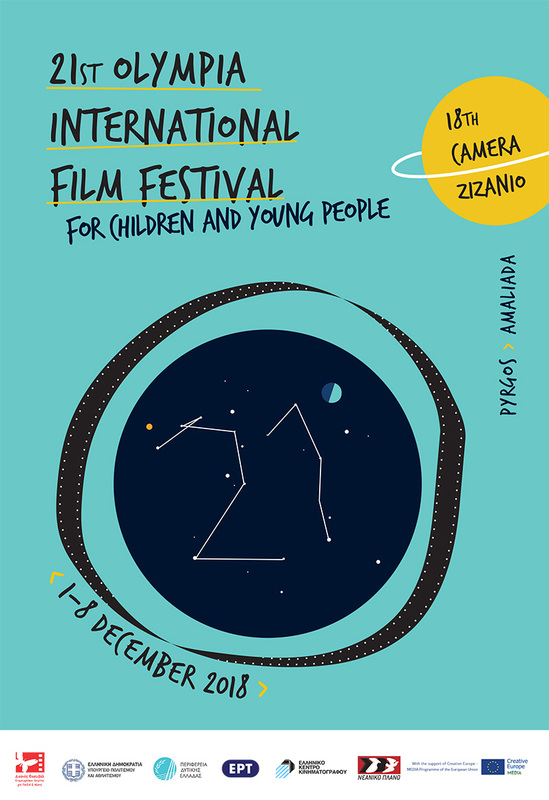 Olympia International Film Festival for Children and Young People reflects social concerns, global dialogues and personal narratives and offers them to the children as educational assets through works of high aesthetic value. The Festival’s concentrated cultural worth, contains multiple benefits and creates cultural added value not only for young people but also for the local community. The Festival is an example of putting into practice positive peace, cultural osmosis, fighting against stereotypes and defending a sustainable future full of smiles for children and young people around the world. The Jury of the Docs and Kids competition saw a selection of films from 14 different countries around the world. First of all, it was a journey through worlds to discover from China to Paraguay, from Turkey to Bangladesh, from Finland to Afghanistan. We got to know a lot of people closely, especially kids and young people. Through the films we saw we got to know, understand and love a lot of personalities, their hopes and feelings. Documentary filming is always about human relationships and part of our main focus was the relationship between the director and crew and the people they observed and worked with in their films. Secondly, the jury had to find a good cinematographic film, interesting for kids and young people as well as for adults. We’ve seen some excellent work when it comes to the cinematography and the sound design. Editing is a kind of storytelling. So we judged the films more according to the storytelling than to technical skills. The use of narration, sometimes overwhelming, and the rhythm of action and silence was another criteria to judge in the films. The jury had a certain distance to some mainstream parts in the films, especially concerning the use of the music. And of course we considered the difference between very well budgeted films and low budget films. But ultimately the story and the feeling was more important to us than the money invested in the production. The films had important topics such as the fight for freedom in a difficult environment especially for girls and women. At times we were shocked by the world of oppression put upon young people, but at the same time we sometimes missed a more critical approach and ways to resist against that oppression. This message was another criteria for the jury. All films had great quality and are worth to be shown and it was difficult to choose one, but we had to according to our criteria. Rationale: The Hellenic Parliament is presenting with the “Human Values Award”, a film of the International Competition section, that skillfully tells the life and death story of a group of children in a French sanatorium during the German occupation. The film showcases the values of solidarity, friendship and resistance against the occupying forces. Rationale: This poetic and touching film shows the beauty of nature and simple life that is free for everyone. However, the poorest children have still no access to education, though child labor is forbidden, but still exists. This film is a poetic protest against this inhuman phenomenon. Greek Film Clubs’ Association – Rationale: with its minimalist directorial style, its script’s directness, its silences and gazes, it shows the necessity and effectiveness of the unyielding struggle for truth and justice. In a society ruled by poverty, inequality and favorable treatment of the powerful, children living in this reality take a leading role in facing it with maturity, sensitivity and resourcefulness. Unicef – Rationale: A Film Festival for Children and Young People essentially serves the diffusion of the International Convention on the Rights of the Child. Because art can only exist if the rights of every human being are respected: The right to life, the right to education, to healthcare, to security… to identity. Those are values that were born in Western Civilisation, and were founded in the souls of all the residents of the Old Continent – Europe. Still, in the 1940’s, in the heart of this same continent, those very values were trespassed, ridiculed and destroyed. People were punished for their origins and/ or ideas. Today, during the second decade of this new century, again in the heart of Europe, they’re intending to deny each person the right to dream of their future and to follow their own path, in a less bloody but nevertheless ruthless and arrogant way. Among this year’s films – each of which defends a core humanitarian value – one stood out for reminding us of the cruelty of certain historical periods of the previous century, while keeping the freshness of a group of young boys who, even though they suffer from a serious illness, they never stop enjoying life and hoping for a brighter future. The fragrance of youth dissolves the stench of sickness. Previous post ← Δωρεάν προβολές ταινιών για μαθητές Δημοτικών, Γυμνασίων και Λυκείων στην Πάτρα!